JEL has been actively involved in energy saving efforts with consideration for the domestic energy situation. We remove unnecessary fluorescent lights. We turn out all the lights during break time. We set up lighting windows in a roof and turn off a light. We have a light-out-switch that turns off all the lights at once and we do not fail to turn off the lights. We set up all the computer we use in the company at an energy-saving setting. We turn off the computer monitor when we leave our desk. 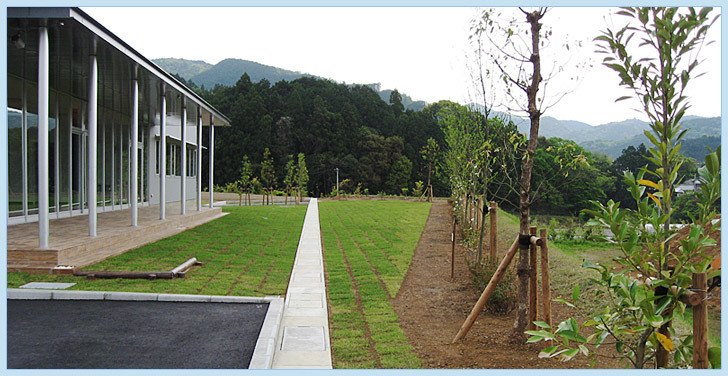 We carry out afforestation around a company building to reduce the heat-island effect. We are wearing polo shirts in the office during summer for "Cool Biz”, energy-saving campaign. We use groundwater and sprinkle water around the building during summer. We make a thorough effort not to do overtime work and to use all the paid holidays and vacation time. We started operation of a solar power plant to promote clean energy.